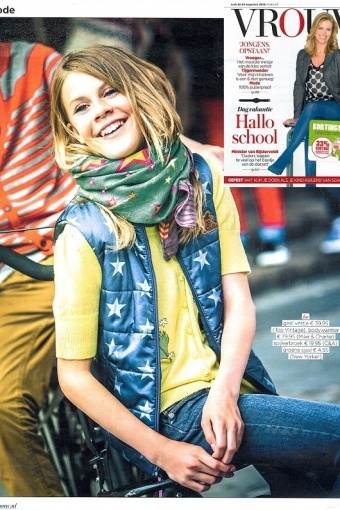 Marieke wears a size S.
New collection! Aloha! 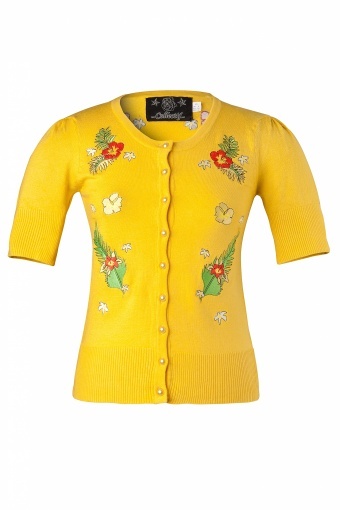 Fun 40s Katie Tiki Hibiscus cardigan Yellow from Collectif. This little baby is just the thing to top off any fashionable number. Not too warm, and not too light in warm mustard/ocre yellow. 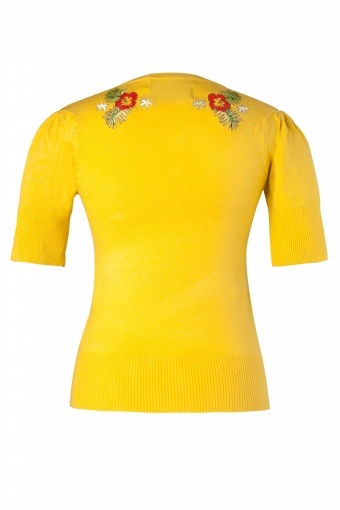 Must-have cardigan with round neck, short sleeves & button up and cute Hibiscus appliquéd on either side and looks just perfect with our dresses or teamed with turned up jeans. Marieke wears the Pinup Couture pencil skirt. 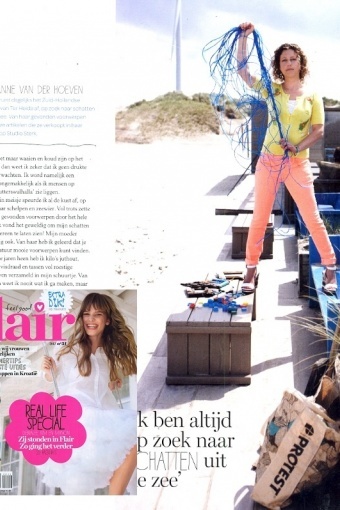 As seen in Flair and Vrouw!